LMS Business Model for Associations? Let’s face it. There’s a wide expanse between the free, open source LMS systems (Moodle, for example) and expensive, proprietary systems currently available. Despite the appeal of downloading a free application or program, open source systems require someone with programming savvy to make them work — a resource most small associations don’t have. Wouldn’t it be great to find a system that fits our needs — and our budget? Something that’s affordable, based on a realistic view of the number of learners we’re likely to serve, rather than some number we have to come up with — then meet — to justify the investment, then balance the budget? “I too have been frustrated by the lack of offerings for people who don’t have huge budgets available,” says Chad Gent of LearnGauge. To their credit, Chad and his colleagues are seeking that rather elusive balance between staying in business and serving their customers, including associations and non-profits. If the CLS is anything like the demo of a beta he showed me awhile back, this could be the system you’re looking for if you want to combine access to online learning that’s bundled with social learning options. Very cool and exactly what most associations are looking for — a way to build connections and dialogue around online learning events. LearnGauge also offers a “barebones” LMS for limited budgets. I won’t pass on the pricing he mentioned, as your situation could be different, but I will say that it can be far, far below the prices mentioned in the Tagoras report and elsewhere (see “LMS = Losing My Smile” for more). They’re willing to work with you if you’d like to form a consortium, pooling your funding and resources, in order to save cost. 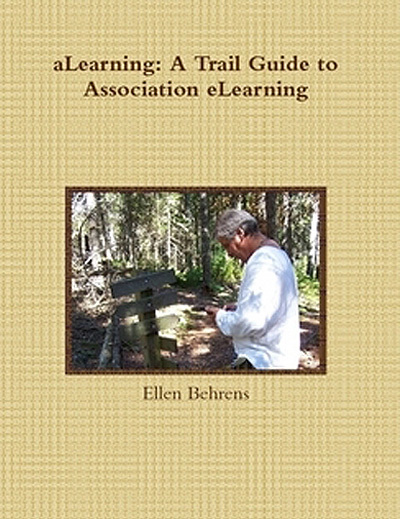 If the system is like the one I saw, each association’s learning offerings would appear to be launched from its own system, with your own branding and unique course offerings. Oh, and have I mentioned that the model isn’t so new that it hasn’t been tried and worked successfully? If you’ve heard of the Sakai Foundation, you already know of such a consortium model (BTW, Sakai also offers an open source LMS). So if it’s looking more and more as though your competition for members-as-learners is closing in (or, worse, leaving you in the dust), consider giving them a call. Setting a meeting. Finding out if they’d be willing to partner with you. The system is there. All you have to do is show up. For more information about what your options might be, please contact Chad Gent at LearnGauge directly at cgent@learngauge.com.